Christian Pulisic scored and made an assist for the first time in more than a month as high flying Borussia Dortmund won the last minute penalty to eliminate the second tier Union Berlin 3-2 in the German Cup on Wednesday and advance to the third round. 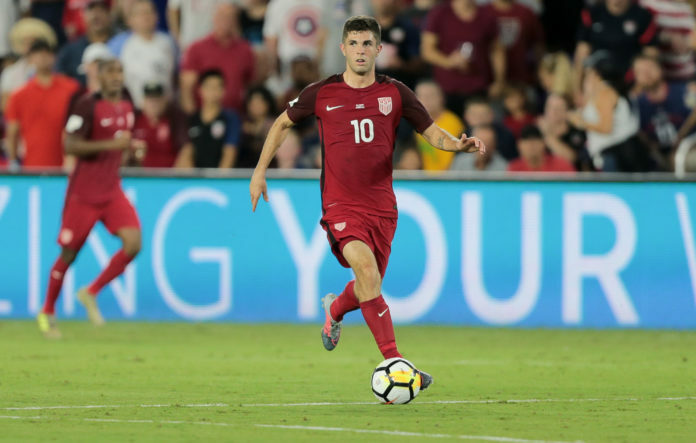 USMNT American Pulisic fired the first goal of the game in the 40th minute. The Berliners fired back thanks to a 63rd-minute goal from Sebastian Polter. Maximillian Phillipp scored Dortmund’s second goal to give the team hopes of winning in regular team. Berlin equalized in the 88th minute to force the game into extra time. Pulisic’s goal came after Berlin’s keeper Rafal Gikiewicz saved Shinji Kagawa’s header. The 20-year-old American also made the assist in Philipp’s 73rd-minute goal. In extra time, Pulisic was fouled in the 120th minute, winning Dortmund a game-winning penalty easily converted by Marcus Reus. Dortmund struggled throughout the game, especially after defender Abdou Diallo was escorted out of the pitch after 13 minutes with a foot injury. Berlin were splendid throughout the night, hitting the crossbar close to halftime and missing several other chances. Pulisic has made four started this season as he struggles to recover from injuries. After Wednesday’s display, he will most likely play fellow American John Brooks on Saturday when Dortmund travels to Wolfsburg.